I wanted to thank Daryl for a great call. If you don’t have a Slaton call, you need to get one. They play very easy and the sound is all turkey. Great person to work with and his craftsmanship is superior! Thanks Daryl! A very fine gentleman and excellent callmaker. I have a copper pot of his that is excellent. Daryl is a great guy. He couldn’t have been friendlier and was very gentlemanly. 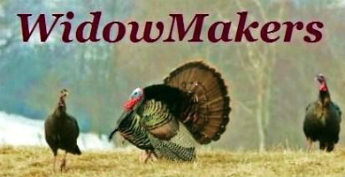 I agree, heck of a guy, and builds an awesome call that’s pure turkey!!! He makes great pots and try one of his trumpets- you will be hooked with his craftsmanship and the quality sound of his calls. Guys, I appreciate the kind words. I don't make many calls each year because I hate to take away from family time, but when I do I want everyone to be satisfied with their call. You guys pay your hard earned money for these and you should enjoy them. Thanks again. Daryl and I did a little "horse trading" last year and I got a slate and a glass pot from him. They both run as good as any pot I got (and I got some good ones). Super good guy and a pleasure to talk to. He may not make many, but the ones he does put out are very high quality. It's evident that he enjoys what he's doing!